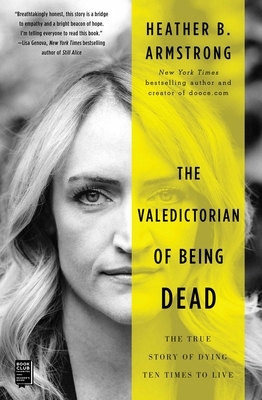 "In The Valedictorian of Being Dead, Heather Armstrong carries the reader along her fascinating journey out of the abyss of depression, intricately weaving the threads of family, suffering, and scientific breakthrough. This touching memoir, full of scenes both silly and profound, manages to shock, educate, and inspire." –Alex Korb PhD, author of The Upward Spiral: Using Neuroscience to Reverse the Course of Depression, One Small Change at a Time.